Elektron 1.6 meter USB cable, for use with any USB equipped device. The woven cable is not only strong but also offers fast digital transfer. Cables are an essential part of any studio, make sure they don't let you down when you need them the most. 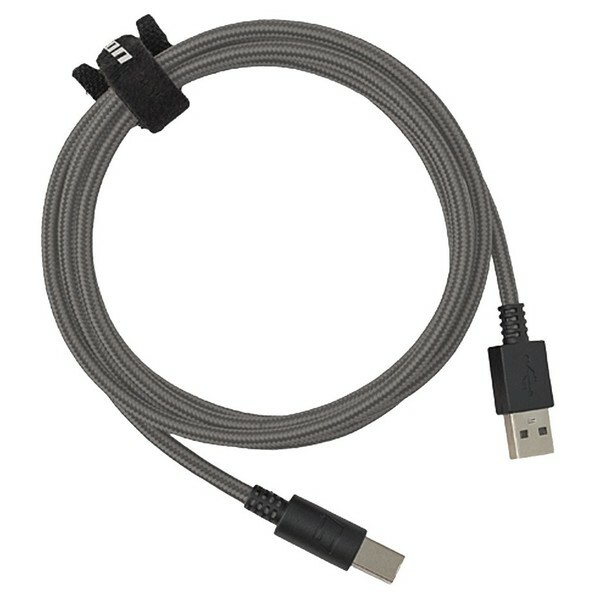 Compatible with any USB equipped device, this strong cable is woven - so it's nice and tough, but flexible too! And, of course, its transfer speeds won't keep your creative juices from flowing. It's tough, durable, flexible, and long enough to be used in any studio context. Whether you're in need of a new cable for your USB mixing desk or USB powered MIDI keyboard or just after a spare - you can never have too many - the Elektron USB cable is fit for work.